Start with your favorite scale trail chassis the Axial SCX10 II. Top it off with your choice of body, tires, and wheels. Now youve got a custom rig with proven performance and a look thats all yours: the Axial SCX10 II Raw Builders Kit! In 2008 Axial introduced its first SCX10 as a builders kit that avoided the technical hurdles of scratch-building. Scale trail enthusiasts could focus their attention on other things, like visually personalizing their rig. 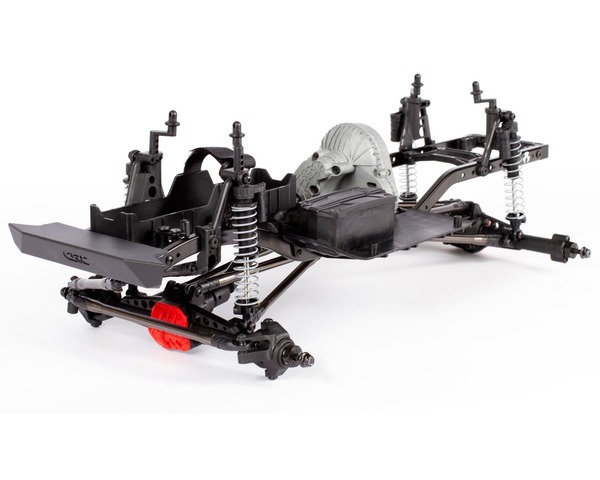 The SCX10 chassis platform proved to be a highly effective driving machine. Standout features included an all-metal twin C-channel frame, solid transmission, and axles with realism and capabilities to match. These are some of the features that make the SCX10 II optimized for performance. Now, with the Raw Builders Kit version, you can drive a machine thats as personal as it is capable!